H.13810 - Fantastic location- the golfer's dream home. This lovely open floor plan 3 BR, 2 BA home offers 2244sq ft of that gorgeous Florida lifestyle you have been waiting to enjoy. Large Florida room is open from the great room and allows a fantastic view of Myerlee golf course and the beautiful landscaping. Grab your favorite beverage & enjoy the golf course view from the screened lanai. 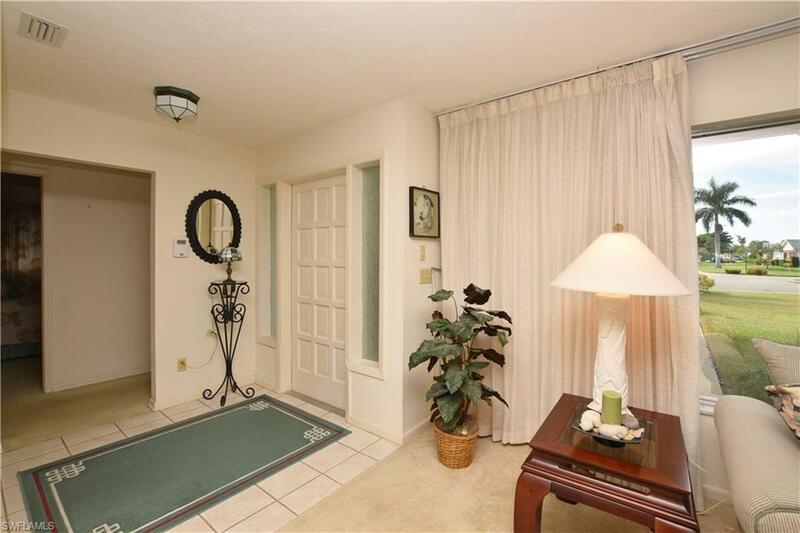 Large attached 2-car garage provides plenty of room for your golf cart and your favorite golf clubs. Enjoy the convenience of the club house being across the street and the many activities it provides. All this is within 5 minutes of the Barbara Mann Theater, Lakes Park, great shopping, and some of south Fort Myers best restaurants. This is a DESTINATION! !